I'm a couple years past the big 3-0, and after my second child, I started to notice my once random gray hairs were becoming more unmanageable (plucking one hair at a time was no longer practical), and those lines on my forehead were getting more noticeable (no matter what my mom told me; I could see them with my own eyes!). I'll admit it: I joined the ranks of many others who are interested in preserving a youthful look and always searching out newer, better beauty products. Hello hair dye and "anti-aging" skincare! As I've written before, I accept very few review opportunities for Frantic Mama. The business or product not only needs to be related to my blog (family/mother/baby oriented), but the businessperson has to be nice, approachable, and responsive (plus, they get extra points if a woman's in charge. Hey, it's my blog, so I can show a little favoritism if I want to). So, when an Arbonne consultant (their company has restrictions on listing name information directly on blogs) contacted me about a botanical skin care line that also encourages female entrepreneurship, I was interested. I had recently gone to an Arbonne party (think the Tupperware parties of yesteryear or the newer, trendy Stella & Dot parties), and had a lot of fun. It seemed like a good fit for my blog and a fun exercise to try out some products and share my results with readers (and perhaps reduce some of those lines). As a 30+ mom, I told her my goal would be anti-aging and reducing undereye puffiness and dark circles. I don't think I was off the mark when I assumed most of my readers would have similar concerns (the title of my blog says it all)? The Arbonne consultant (a very responsive and enthusiastic businesswoman) sent me samples of the RE9 Advanced line (touted as age-reversal and full of peptides and skin-safe botanicals. Woo hoo! ), and some of the baby products that come highly recommended for little ones (and adults) with sensitive skin and eczema. 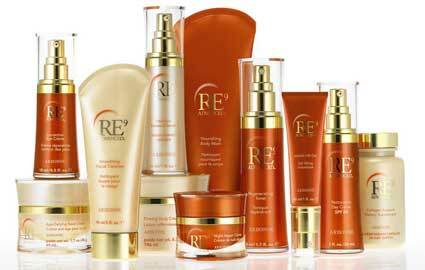 The RE9 line includes several products. I tried the day and nighttime routine for a while, which includes: the smoothing cleanser, followed by toner, serum, eye cream, and day/night lotion. It sounds like a lot of steps, but it only took a few minutes to put it all on. And my skin felt immediately fresh and glowy (not easy to achieve as a frantic mama). I often didn't wear make-up over it during the day because I wanted to see my skin clearly; I didn't feel like I needed much anyway after putting all of the products on because my skin looked so good. To get scientific, in a clinical study, 96% of women reported reduction in the appearance of fine lines after using the RE9 line for 4 weeks. I did after just a few days. This is because they contain those little collagen-building miracles, peptides. As for RE9 prices, they are more expensive than drugstore brands (Neutrogena, Olay, etc.) but less expensive than many other luxury brands (La Mer, La Prairie, etc.). * RE9 Restorative Day Creme SPF 20 is $50, and the other products run either a bit higher or lower. Arbonne is able to keep costs lower because of their selling model: they use independent consultants to sell directly to the consumer (Network Marketing) rather than shelling out millions for movie stars to advertise, along with a middle man, retail stores, etc. I enjoyed ALL of the facial RE9 products I tested, but for budget reasons, I plan to order the RE9 Advanced Night Repair Cream ($85) first (because it works while you sleep!). The ABC Baby Care line includes: Hair & Body Wash, Body Lotion, Body Oil, Herbal Diaper Rash Cream, and Sunscreen. These products are more expensive than what you might buy at Target (the wash is $16), but it is nice to know that they are non-irritating and ideal for sensitive baby skin. The smell is very fresh and light. The diaper rash cream was my favorite ($16). It's thick, creamy, and baby powdery-smelling. A package of the ABC line would be a lovely baby gift. If you are a make-up junkie, I also liked Arbonne's lip polish (I tried a bright pink, "Posh"), but it is a little pricey ($24). If you use primer (I don't), Arbonne's is supposed to be great. 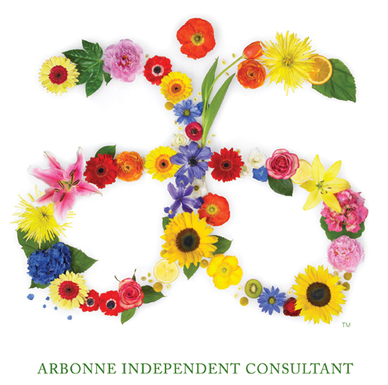 To order Arbonne products, you must go through a consultant, but you can do that online too. *She can also help you get products at a great discount through the preferred client program. I am not allowed to list the consultant's name on my blog directly, but if you contact me through my blog, I can then give you her information. She's great :). She can also help you learn more about career opportunities with Arbonne-- those part-time (or even full-time) flexible positions that so many moms are looking for! What an awesome job, right? Please comment if you have used or plan to use any of Arbonne' products. I'm always interested in the next best thing! Follow me on Twitter @MNFranticMama, Instagram, and Stumbleupon. And click the Top Mommy Blogs button to keep me going!